This is a twist on the usual bacon and eggs for breakfast, lunch or brunch. I have baked the potato first, and then added the ingredients and baked it again. The result is a very tasty breakfast! Wash the potato, dry it, spread a bit of olive oil over it, and some salt and pepper. Wrap it in foil and bake for about 50 minutes (depending on the size) or until it is soft. Meanwhile, cook the bacon to your liking. I like it crisp so cooked it about 5 minutes on each side. Let it cool, and cut into small pieces. Take the potato out of the silver foil, and when it is a bit cooler, slice it lengthwise into two. Scoop out the potato flesh leaving a thin bit on the edges. Salt and pepper this if required. Mash the potato, add the grated cheese, milk, and the chopped spring onion. Then fold in the bacon pieces. Put this back into the potato shells, and press down in the middle making a well so you can put the egg in there. Break the egg carefully into this indentation, and it may ooze out a bit but do not worry about this. Carefully put this back in the oven set at 170°and cook for about 20 - 25 minutes or until the egg is white. If you cook it longer the yolk will go hard. Serve immediately with a slice of bacon if desired. 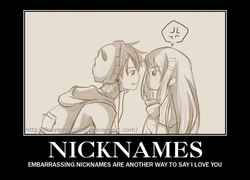 Do you like having a pet name in a relationship?